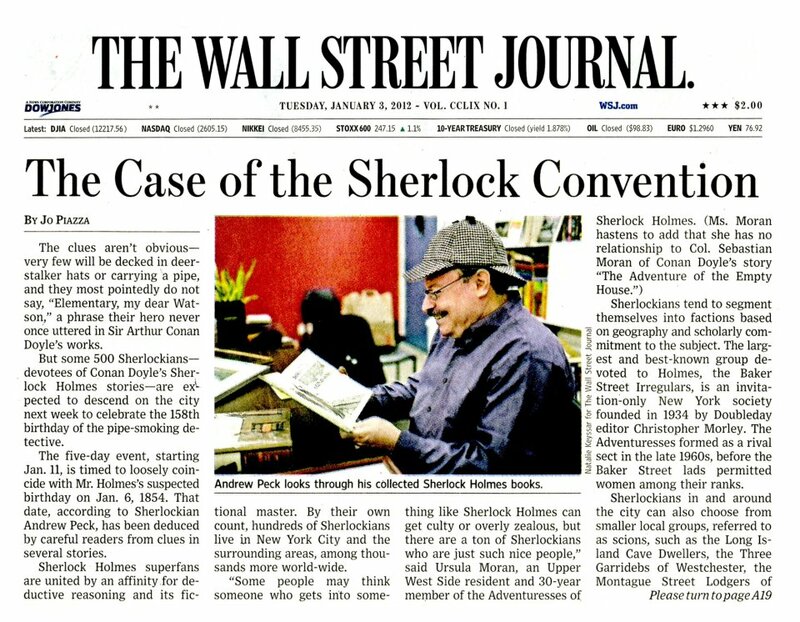 Classmate and US Magistrate Andrew Peck featured January 6, 2012 in the Wall Street Journal on his involvement (dating to Cornell days) in the Baker Street Irregulars. The name describes fans of Sherlock Holmes rather than a medical affliction. Andrew is involved in celebrations coinciding with Holmes’ apparent birthday, Jan. 6 (1854).